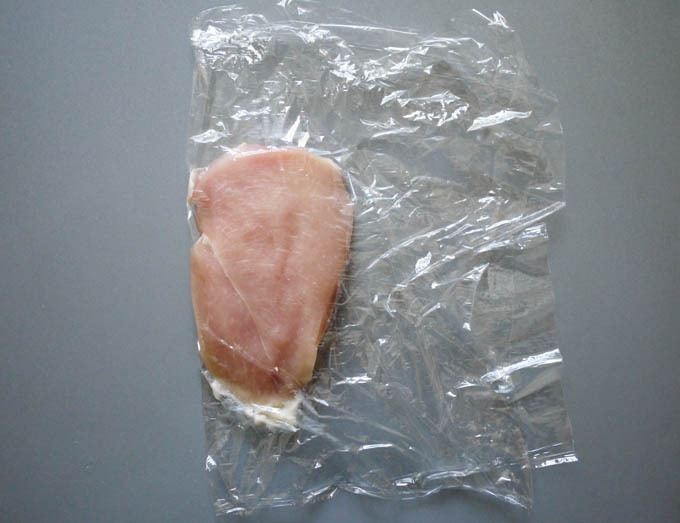 I sent my husband to the store to get some regular old boneless skinless chicken breasts. Anytime I send him to the store, it’s an adventure. You never know just what he will come back with. He returned with a single chicken breast, thinly sliced into four pieces. What to do… What to do? 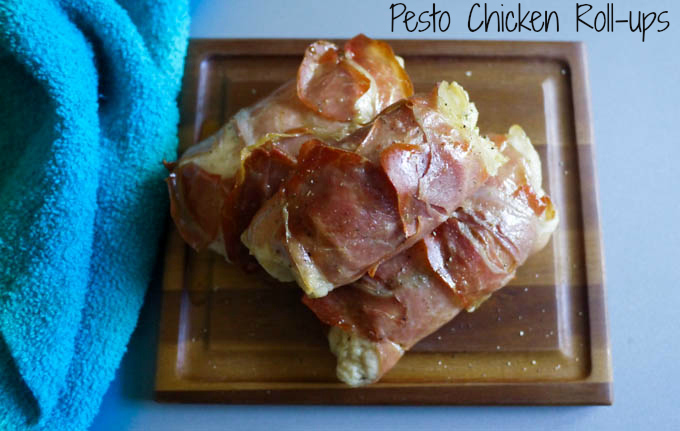 After googling around, I came across Luscious Low Carb’s Pesto Chicken Roll-ups. 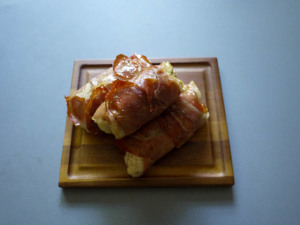 I could not be bothered with securing the chicken with toothpicks, so I just wrapped them in prosciutto. Win! I also swapped out the parmesan for asiago because I think it packs more of a punch next to pesto. 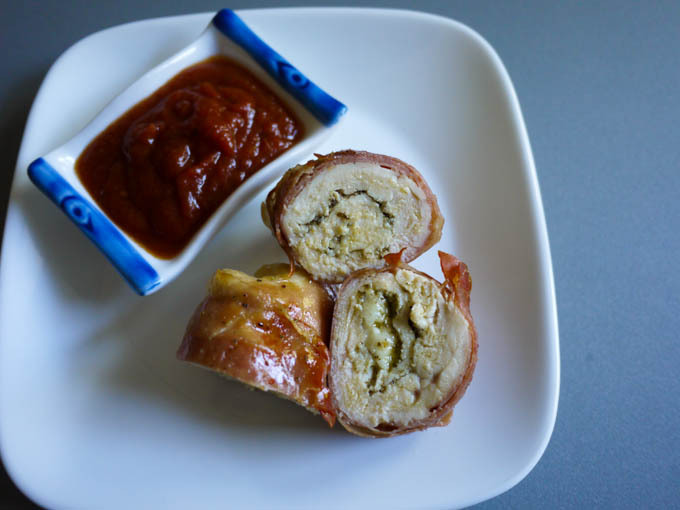 Easy, baked chicken pesto rollups filled with asiago cheese. 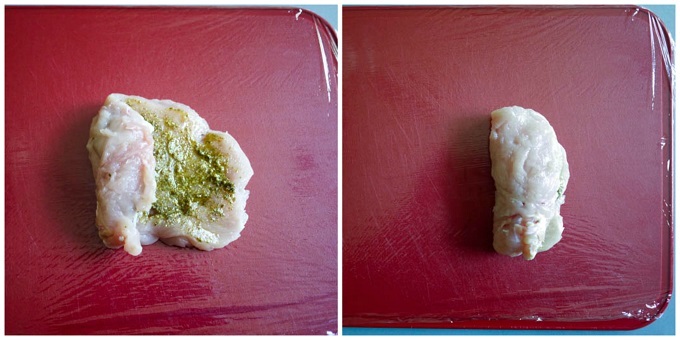 Place a chicken breast slice in between plastic wrap. 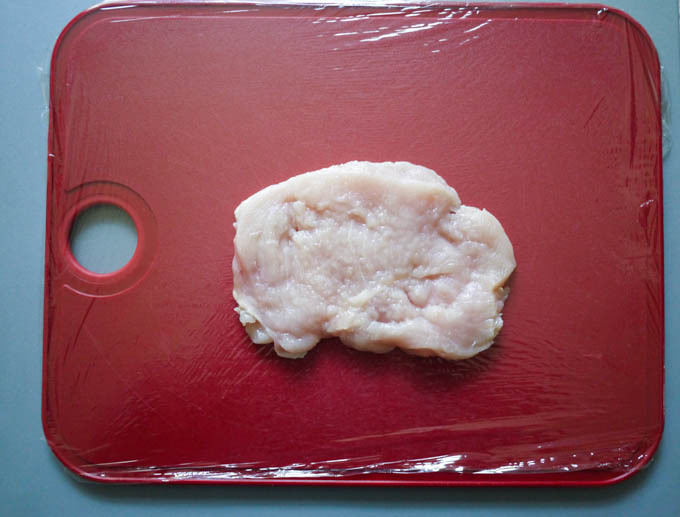 Using a rolling pin or meat mallet, pound the chicken all over until it is about ¼” thick. 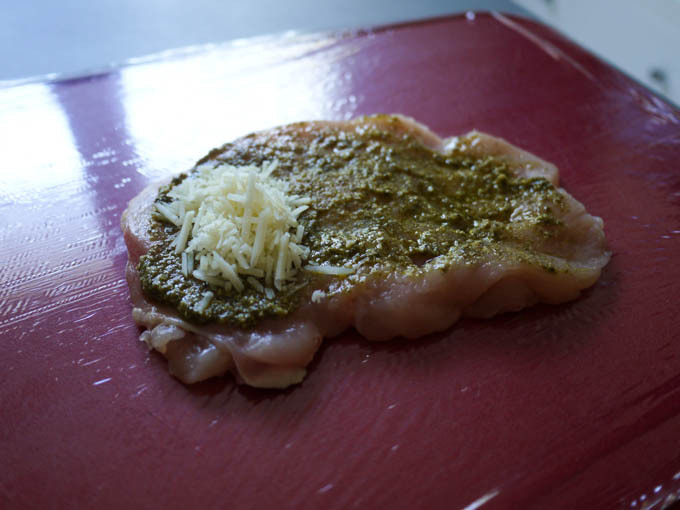 Spread a tablespoon of pesto all over the surface of the chicken. Sprinkle about a tablespoon of shredded asiago onto the left corner of the chicken slice. 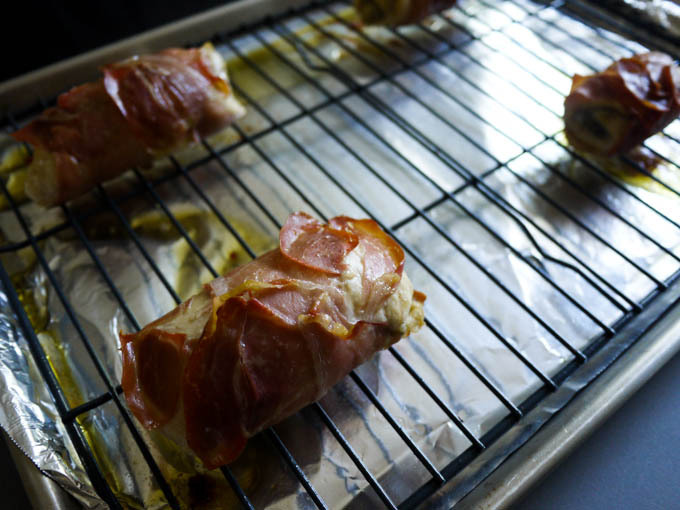 Roll the chicken into a cigar shape. 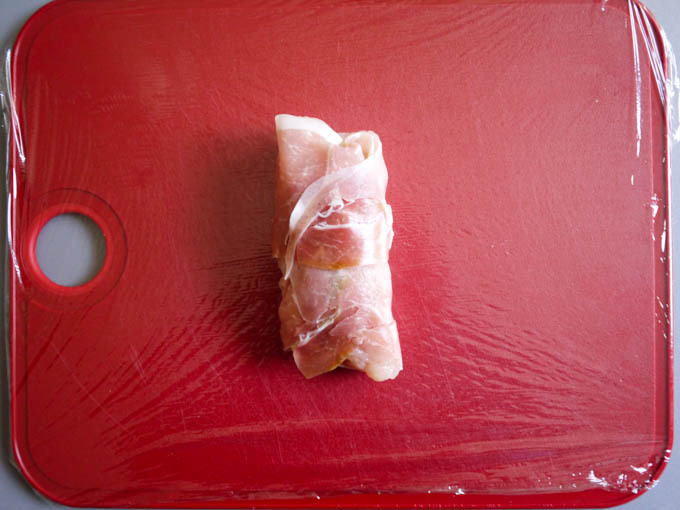 Wrap the chicken roll-up with 1 or 2 slices of prosciutto. My pack of prosciutto came with 7 slices, so I used 2 slices each for the first 3 roll-ups and a single slice for the last one. Place on a rack on top of a foil-lined baking sheet. If you don’t have a rack, just put them on top of a foil-lined baking sheet. Bake for approximately 20 minutes, until the chicken is cooked through. 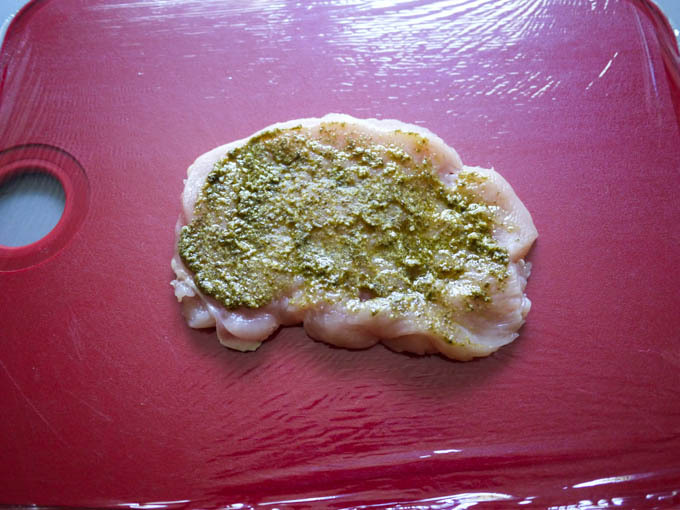 Using a rolling pin or meat mallet, pound the chicken all over until it is about ¼” thick. The slices are already thin, but we want them just a bit thinner so they aren’t enormous when rolled up. 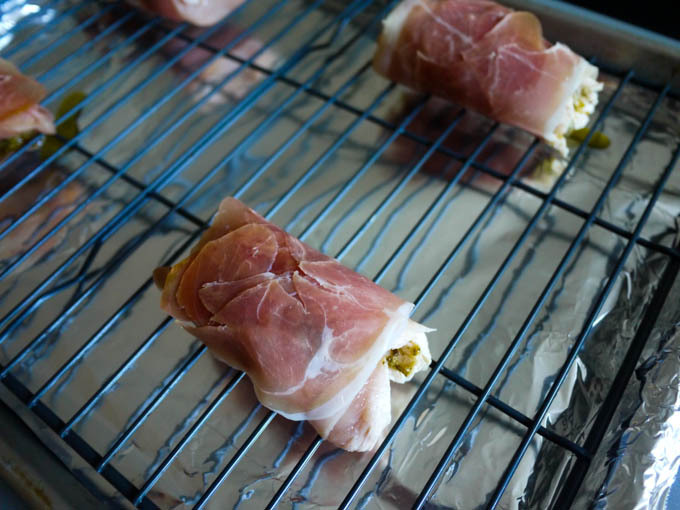 Place on a rack on top of a foil-lined baking sheet. If you don’t have a rack, just put them on top of a foil-lined baking sheet. The foil is only used to make clean-up easier. 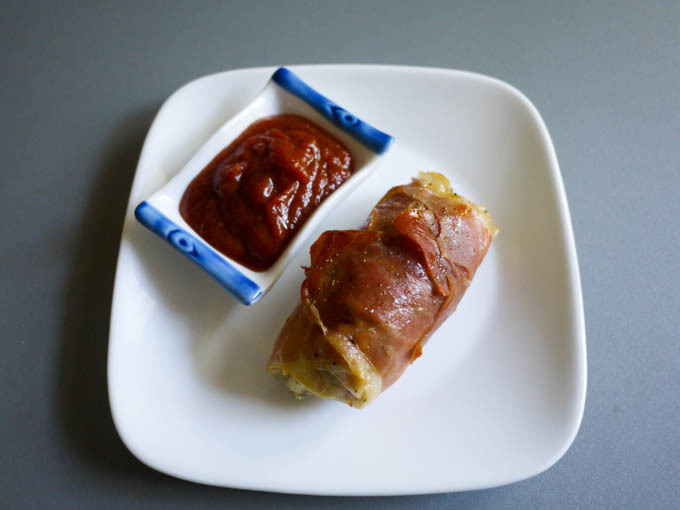 I like to serve this with a little bit of marinara sauce for dipping. It’s the grown-up version of chicken nuggets with dipping sauce. I didn’t see this come up in my blog feed the other day. I’m laughing about sending your husband to the store. Mine is notorious for forgetting one thing on the list. Every. Single. Time. I love that you just went with the flow and turned it into something delicious! I need to put asiago on my grocery list.